California Energy Services is experienced in maintaining all types of heating systems, from heat pumps and furnaces to the convenient mini split system. For every heating system, consider a preventative maintenance plan to keep your system running efficiently and avoid expensive last-minute repairs. Nobody wants to have their heater fail, especially on a cold winter evening. Preventative maintenance is designed to detect and correct any major issues before they arise, saving you time and money on costly repairs. Maintenance plans include the standard features of a system tune-up: Inspecting safety, wiring, and air flow, calibrating the thermostat, tightening up loose bolts from continued use, and much more. 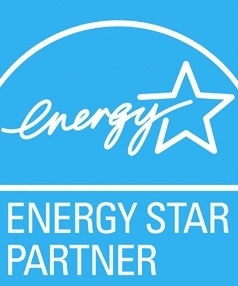 As a California Energy Maintenance Customer, you’ll also receive special benefits for your maintenance year, such as discounts, rewards points, and priority scheduling. Preventative Maintenance helps keep your heating system running smoothly all year long. By anticipating the needs of your particular heating system, we keep your energy costs low and eliminate major repairs, leaving you with an efficient heating system you can truly enjoy. Heating emergencies are preventable with proper maintenance. Don’t let a costly breakdown ruin your season! Call California Energy Services today to schedule your preventative maintenance appointment. professional & efficient heating maintenance. "Very pleased with the Customer Service provided, specifically Will and Roger." “Very Convenient and Accommodating to schedule...Also a painless process all.. is working well. Already have recommended to a couple people. Thanks!" Looking for a New Heating Unit? Winter is almost here, which means it’s time for homeowners in Folsom, El Dorado Hills and Greater Sacramento to take a closer look at their heating systems. One of the best parts about living in California is that heat is not needed throughout much of the year, but this is a double-edged sword. The weather may still be gorgeous, but there’s no getting around the fact that fall is here in the Foothills. Cooler temperatures are on their way whether or not you want to admit it, and once they hit, they’ll be here to stay for a while. While you’ve no doubt spent the summer enjoying the beautiful weather and not thinking about your home heating system, it’s time to put things into perspective and consider focusing on heating maintenance.